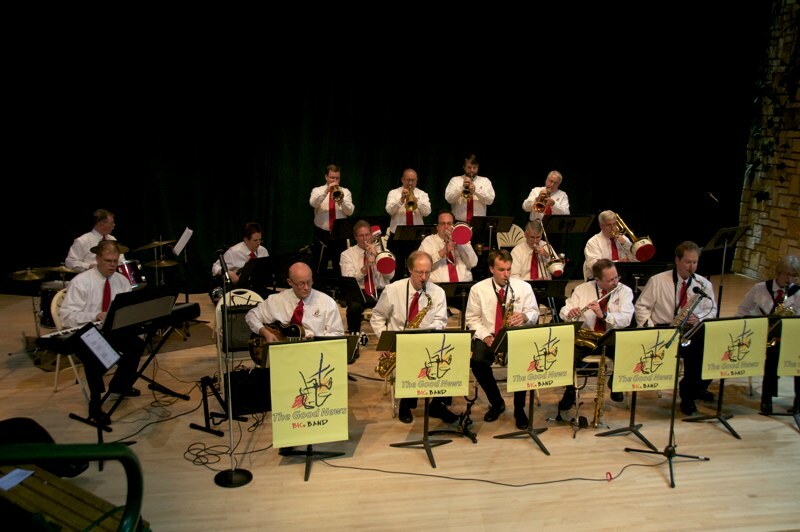 The Good News Big Band is a Twin Cities, Minnesota based group that performs Christian based music done in a big band swing style. 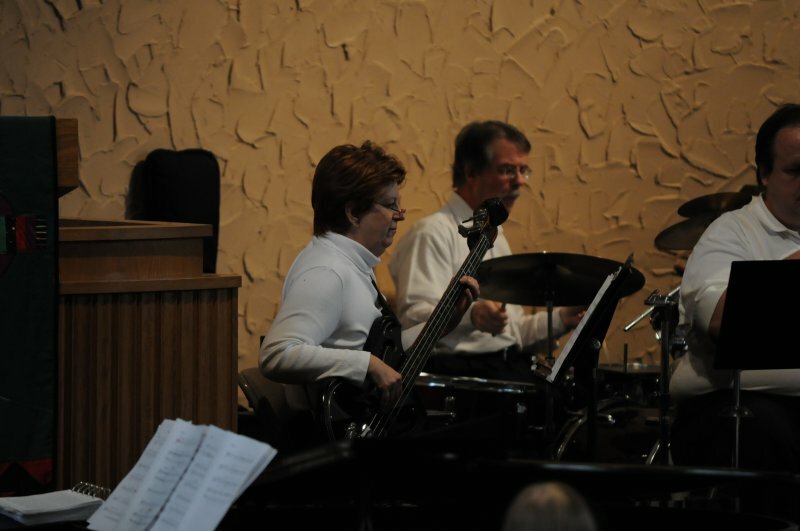 Besides playing this style of music in churches, we also play secular venues where the music is the traditional big band swing, Latin style and other big band jazz charts. January 31, 2009 article about the Good News Big Band appeared in the Minneapolis Star Tribune in the Variety section. Our calendar can be found on the right side of this page. Please select the venue and more information will appear. We would like to thank Oak Hill Lutheran Church at 90th and France in Bloomington, Minnesota for allowing us to practice in their building on Sunday nights! They are a great bunch of people and we really appreciate their giving of their resources.